EFI Technology offers a broad range of high performance electronic products, software design and engineering services for military applications. We specialize in electronic design and software development for the aerospace & defense industry, high performance vehicles, motorsport applications and performance enthusiasts around the world. The PLZ-45 or Type 88 is a 155 mm self-propelled howitzer designed by Su Zhezi of 674 Factory, and developed by Norinco. 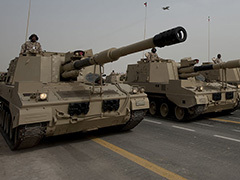 Its currently used by the People's Liberation Army of China, Kuwaiti Army & Saudi Arabian Army. Operated by a crew of five (commander, gunner, two loaders and a driver), the PLZ-45 is armed with a 155mm, 45-calibre main gun, with a semi-automatic loader. It has an electrically controlled and hydraulically operated ram that enables projectile loading to take place at any angle of elevation with the charge being loaded manually. All our mil-spec wire harnesses are engineered and manufactured in house to meet military specifications. Every design is tailored to meet each customers specific application requirements. We use Raychem’s heat-shrinkable tubing instead of standard approaches to insulation. The tubing comes in a wide range of sizes, colors, and materials. Spec 44 or 55 airframe wire is used exclusively throughout. It has a temp rating of 200 deg C using silver plated copper conductors. Complete documentation such as CAD drawings and schematics are created for each harness design and are available on request. 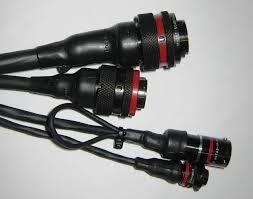 EFI Technology offers a wide range of custom designed automotive and mil-spec sensors. Custom designs and specialized products are available on request. The temperature sensors feature a billet housing machined from 316 stainless that is environmentally sealed and features an Autosport 5 pin connector. 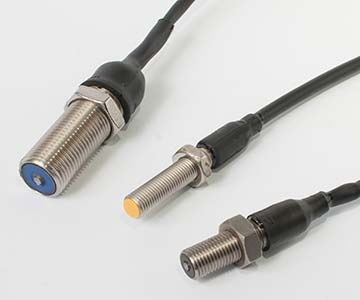 Sensors are available with ranges up to 200 deg C.
The custom pressure sensors are temperature compensated and feature a billet machined 6061 aluminium that is environmentally sealed and features an Autosport 5 pin connector. Sensors are available with ranges up to 3000 psi.